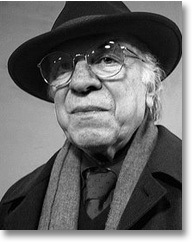 Stanley Cavell received his A.B. in music from the University of California, Berkeley, and his Ph.D., in philosophy, from Harvard. After teaching at Berkeley for six years, he returned to Harvard in 1963, where he became the Walter M. Cabot Professor of Aesthetics and the General Theory of Value. He became Professor Emeritus in 1997. His major interests center on the intersection of the analytical tradition (especially the work of Austin and Wittgenstein) with moments of the Continental tradition (for example, Heidegger and Nietzsche); with American philosophy (especially Emerson and Thoreau); with the arts (for example, Shakespeare, film and opera); and with psychoanalysis. Among his recent publications are: A Pitch of Philosophy: Autobiographical Exercises; Philosophical Passages: Wittgenstein, Emerson, Austin, and Derrida; and two pieces for the London Review of Books: "Nothing Goes Without Saying", a discussion of the language of three Marx Brothers films, and "Time After Time." An investigation of several Hollywood melodramas from the 1930s and 1940s, entitled Contesting Tears: The Melodrama of the Unknown Woman, was published in 1997. Professor Cavell is a recent recipient of a MacArthur Fellowship and is a Past President of the American Philosophical Association.